We have just had our celebrating success and annual CPD meeting with our partners and whole team at Summit Hospitality. We all took two days out from the office to discuss our vision and the future of our business. This includes looking at industry examples and case studies and putting together tasks and presentations so that we can stay informed on the apprenticeship levy, as well as all of the challenges to overcome in an ever-changing world of further education within the workplace. We love working with great partners and sharing best practice. We teamed up with our friends and partners NSEGTA, Learn2Print as well as the lovely people from Kickstart2Employment. Strong partnerships are why Axia are effective in the local area, as well as being flexible and dependable for nearly 20 years. "We discussed everything from our business strategy to collaborative marketing and new branding." 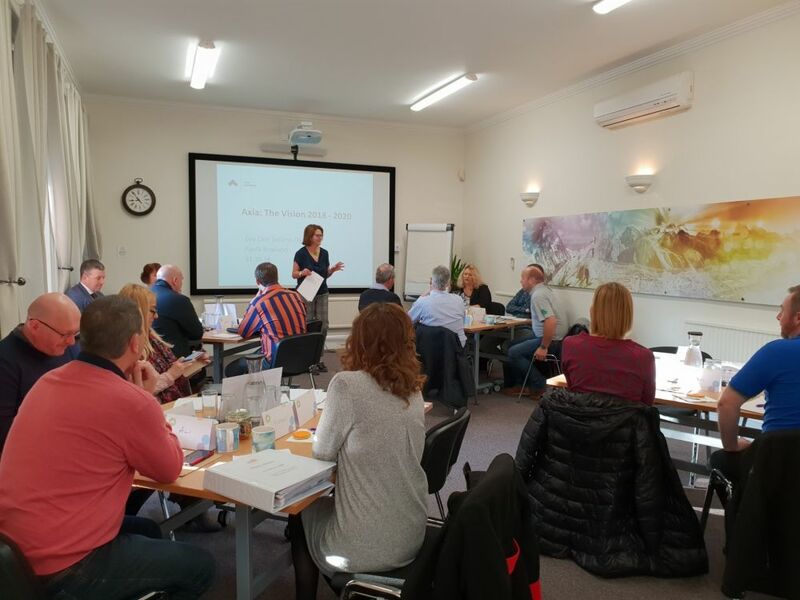 We had lots of presentations as well as workshops and break-out groups to create collaboration and forge stronger working relationships with our valued partners. We also used this time to openly discuss our challenges and get a better understanding of different methods of working to solve them. If you would like to become a partner with us, get in touch below.